The word quartet implies an association with music but the article doesn’t mention that. 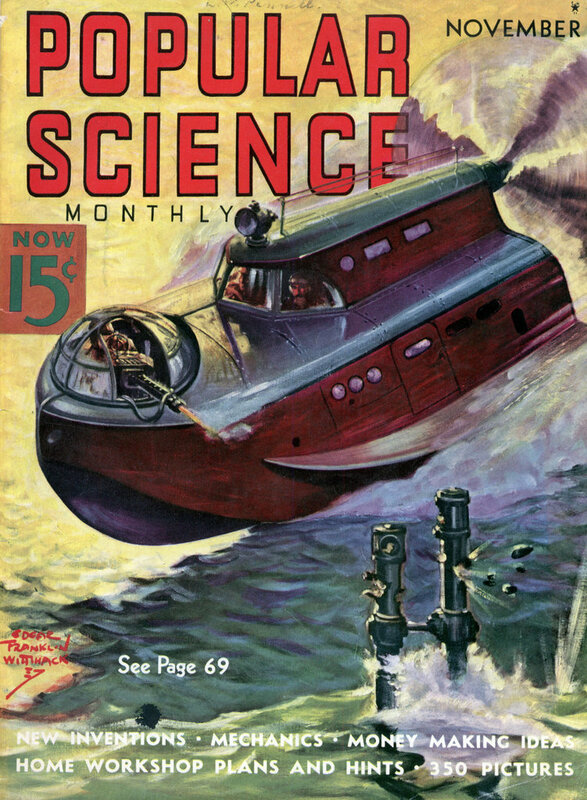 If so it would be a sight and sound worthy of a Southpark episode. 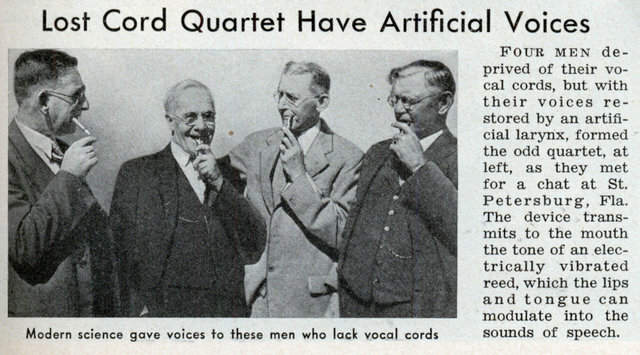 Pour men deprived of their vocal cords, but with their voices restored by an artificial larynx, formed the odd quartet, at left, as they met for a chat at St. Petersburg, Fla. The device transmits to the mouth the tone of an electrically vibrated reed, which the lips and tongue can modulate into the sounds of speech.